It’s bad enough returning home, but the last thing you want to find out is you’ve been a victim of theft. Approximately 60% of burglaries occur when no one’s at home, and the summer months see an increase in theft, simply because there are so many people away. In summer 2016 alone, 200,000 break-ins were reported. It’s no surprise if these statistics are a concern for you. In this article, Birlea discuss the ways in which you can keep your home secure whilst you’re away, to reduce the risk of a break-in. If you have a pet, you’ll no doubt leave your spare keys with a neighbour or friend, so they can access your house and feed your pet. However, if you’re going away for a longer period of time (and you don’t have a pet! ), then giving your friend or neighbour your spare keys can give you peace of mind. Ask them to check your home from time-to-time while you’re away, and make it look lived in: that means drawing the curtains in the evening, switching the lights on and off and potentially even parking one of their cars on your driveway. Opportunists looking to break into an empty house will be deterred if they’re tricked into thinking there’s someone in. Locking a window seems like a very simple piece of advice – but you’d surprised how easy it is to forget to check your bedroom window if you’re running late to the airport. It’s not just windows you should be checking: your doors, garage and shed are all potential break-in areas for burglars. Make sure your garden tools are kept in your shed and not left out, as they could be used to force entry. 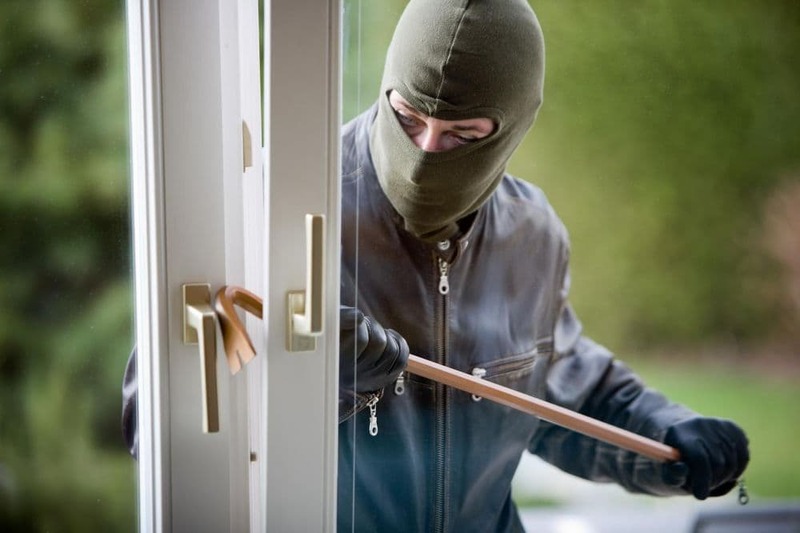 If you were to be burgled whilst you were on holiday, and it transpired your doors or windows were unlocked, then you’ll likely find it very difficult to claim on your home insurance, as you’d have been deemed to have failed to take “reasonable care” of your property. You should be doing this all the time, but if an opportunist were to walk past your empty house and see a laptop left on your coffee table, then that could be too much for them to resist. Before you go away on holiday, you need to make sure that absolutely all of your valuables are left out of sight and stowed away – that’s in all of your rooms. The same goes for your keys, if you haven’t given them to a neighbour or friend! Put them in a pot and shut them in a kitchen cupboard, so they are safely out of sight from passers-by. However, technology really is a wonderful thing, and can give you peace of mind when you’re away. Installing cameras and sensors may sound extreme, but you can connect them to your phone via an app, allowing for 24/7 viewing, if you wish. In some instances, you can even request these apps to alert you when a sensor is triggered, so you can still be in total control of your home, even if you’re hundreds – or thousands – of miles away. After all, can you be sure that all of your Facebook contacts are actually your friends? And being totally honest, no one knows everyone who’s following them on Twitter and Instagram. Whilst it may be fun to brag about jet-setting off somewhere exotic, it’s not worth the potential trade-off of coming home to discover you’ve been broken into. Ultimately, going on holiday is a time to relax, spend time with loved ones, and enjoy yourself. You don’t want to put a downer on your time away by worrying if your house is safe… or worse, come back to find you’ve been a victim of theft. By following these five tips, you can make your property as secure as possible whilst you’re away.